The PM allegedly pressured former justice minister and attorney general Jody Wilson-Raybould to curtail the criminal prosecution of a multi-million-dollar corruption and fraud case against SNC-Lavalin, redirecting the matter out of the courts and into a “remediation agreement,” which would have spared the company the negative financial and reputational consequences of a criminal trial – the most devastating of which would include a 10-year ban from accepting government contracts, a stipulation which would economically cripple the Montreal engineering firm. 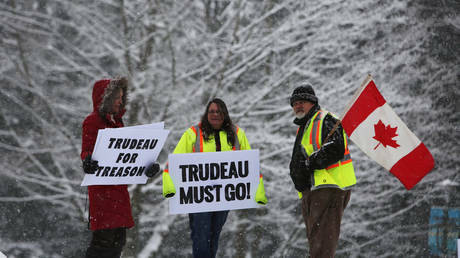 When Wilson-Raybould refused to ask federal prosecutors to make the non-prosecution deal with SNC-Lavalin in December, according to the Globe and Mail, Trudeau essentially fired her, leaving her to wash up at Veterans Affairs, a significant demotion. Conservative Leader Albert Scheer has led the charge to haul Trudeau’s aides and top members of his party in front of an emergency meeting of the justice committee for what he calls “unprecedented” attempts at influencing a criminal proceeding. For the details of Trudeau’s involvement in tampering with the SNC-Lavalin case, however, all Scheer has to go on is an anonymously-sourced report in the Globe and Mail. SNC-Lavalin was charged with paying out $48 million in bribes to Libyan officials in the decade leading up to the NATO-led overthrow of Muammar Gaddafi's government in 2011, payments intended to influence government decision-making, though the company was also charged with defrauding Libyan companies of about $130 million.